The Purple Pinkie Nail Salon: Magic Manicure! We have a new service at The Purple Pinkie, it's called the Magic Manicure! 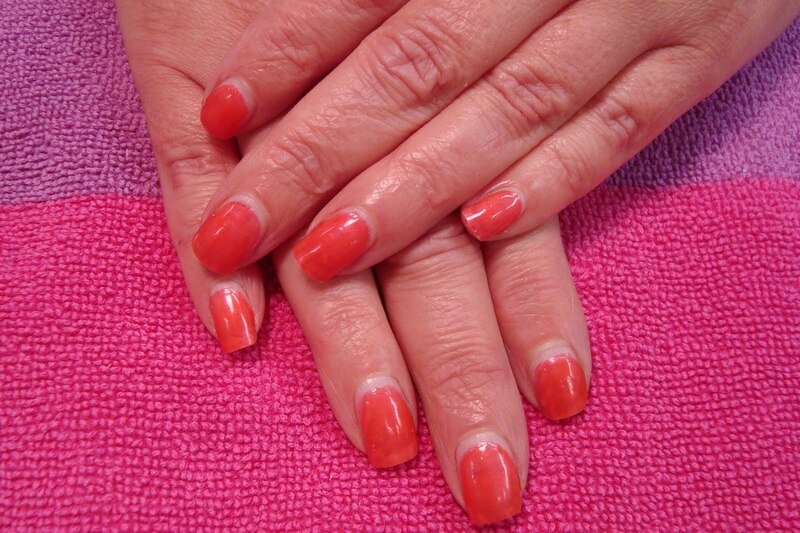 This services allows you to give your natural nails a little extra added strength and allows your polish to last for two weeks, possibly longer! 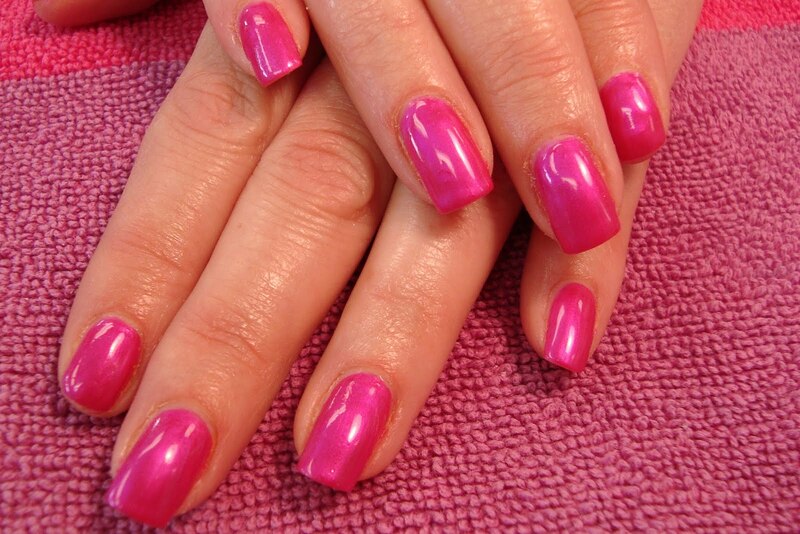 Choose from one of our standard colors or have us make you one out of your favorite polish color! This picutre shows a freshly applied Magic Manicure, thank you to our lovely model, BJ Meleason! This photo is of Rhonda's nails, 16 days after a Magic Manicure. She finally got her first chip on day 24. Even though your polish resists chipping, you will still see the line of regrowth as your nails grow. To avoid seeing that, either choose a light color or have a Magic Manicure every two weeks.